There is a nice little trick to gain infinite XP, especially at higher levels when you start running low on quests that don’t have a good experience point return. Why would you need to farm XP you ask? There’s a trophy for reaching level 35 called Munchkin. This level is often much higher than you’ll be if you do the majority of content. This farming method will cut out the need to do endless number of side quests. Don’t forget that you’ll need to do all the Witcher contracts for the Geralt: The Professional trophy. To do the infinite XP exploit. 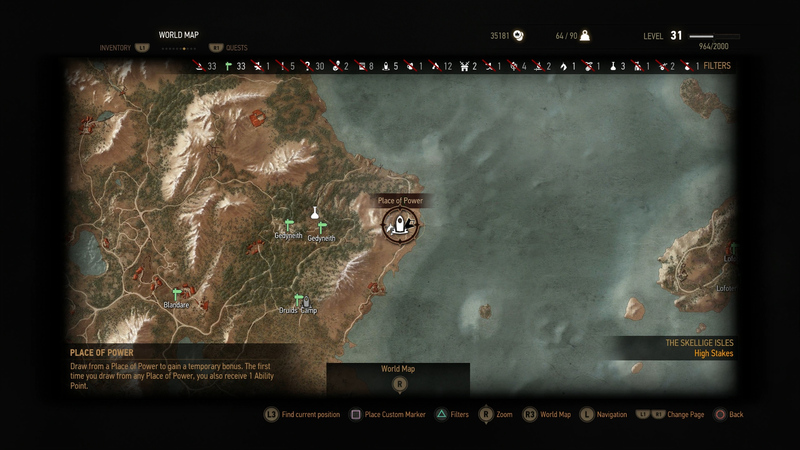 Head to the Planes of Power location on the far East coast of the main island in Skellige. Outside the cave to the Place of Power location will be a level 30 Cyclops. Killing him will give you 51 XP at level 30. Immediately meditate for at least 1 hour and he will instantly respawn. You will need to be a high enough level and have good enough gear to take him down quickly. Be careful of his knock back attack that can push you off the cliff. Remember, if you’re playing on Death March difficulty you won’t be able to heal during meditation but you can lower your difficulty, especially if you’ve already got the Walked the Path trophy for beating the game on Death March. Watch the video on top to see just how quick and easy this is.